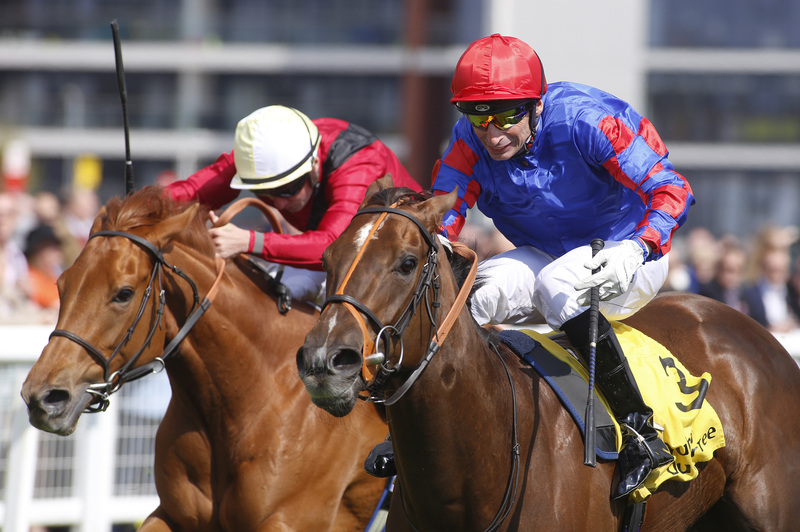 Veteran trainer David Elsworth has a genuine Classic contender on his hands after Dandhu prevailed in a blanket finish for the Dubai Duty Free Stakes at Newbury. Second in the Rockfel Stakes when last seen, the Dandy Man filly was weak in the betting and drifted out to 8-1 in the race better known as the Fred Darling. Dandhu got the verdict by a short head to give Gerald Mosse a quick Group race double after his earlier win on Marmelo. So Perfect just beat Star Terms for third. “I thought she would need it, and she will probably benefit from it, but she looks pretty fit,” he said. “I’ve not really given her a hard preparation. “He is a good man, and he put her to sleep,” he said. “I’m worried about the ground, and that is why I ran her here and not there. It is an undulating course, that mile.